The dollar to Euro exchange rate is getting better. 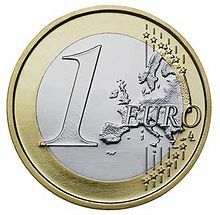 Today $1.086 for a Euro. When we bought our condo in Italy the rate was $1.34 for a Euro. Financial predictions are that it will get even better over the next year. By next summer we should see a 1 to 1 ratio or even less than a dollar for a Euro. The exchange rate has so much to do with what you will really pay for your vacation. You need cash for cabs, food and some stores. You won’t get cash at the above rate. Banks here will charge a higher rate to buy Euros. Banks in Italy will do the same. 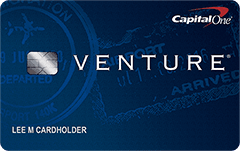 The best is credit cards with no foreign fees. You will still pay a higher rate but it will probably be the best rate you can get. Go to an ATM in Italy and get cash with your credit card or debit card. Use your credit cards where possible at restaurants, museums, hotels, etc. We know we go back to Italy every year so we never exchange our Euros back to dollars. Just keep them with your passports in a safe place. Then when you take your next trip, you will have some Euros. World bank Exchange Rate – This is the exchange rate you see on the internet. Today it is $1.078 per Euro. This rate is basically impossible to get. Added Bank Fees – This is a higher rate added onto the World Bank Rate at your local bank. They usually pay a third-party to handle the Euros and this costs money. Today’s Wells Fargo exchange rate is $1.338 per Euro. That is $.26 per Euro higher or $260 per 1,000 euro higher fee. Airport Exchange Booths – Theses are the most expensive exchange places in the world. DO NOT USE THEM! Credit Card Cash Advances at an ATM– These can be reasonable depending on your card. They are higher than the World Bank Rates but can be lower than bank rates. There is usually an additional fee over and above the inflated rate even on cards that have no foreign fees (the no fee applies to purchases only and not cash advances at an ATM). Credit Card Purchases – Most cards today have a No Fee foreign transaction policy.This doesn’t get you cash in your pocket but it will be the cheapest way to pay restaurants and purchases. There is a additional exchange fee associated over an above the World Bank Rate. Euros come in paper in denominations between 5€ and 500€. 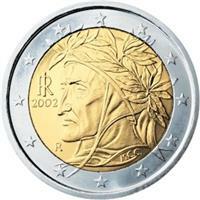 Coins are in denominations between .01€ and 2€. The 1€ and 2€ coins are the biggest of the coins so they are easy to spot. Paper notes are constant across Europe but coins change by country. Exchange your money well so you have more to spend in Italy and enjoy! Tomorrow we will talk about last-minute planning. If you plan to return to Europe in a year or even a few years, DO NOT EXCHANGE YOUR EUROs BACK TO DOLLARS! Save them in a safe place and use them on your next trip to Europe. Exchange rates can be good or bad and are usually very ugly! A vacation can suddenly cost you much more because you exchanged money at the wrong place. Most people are unaware of how expensive exchange rates can be. The World Bank sets rates each day. These are what we see on the Internet. Everyone charges higher rates than these so they can make money. The question is how much higher. Exchange booths at the airports are the worst. DO NOT USE THESE PLACES! You could pay as much as 25% higher than the World Bank Rate. That means a Euro rate of 1 Euro costing you $1.10 would really cost you $1.38 or $.28 cents more on every dollar you spend. A $3,000 vacation becomes $ 3,840. Could use have used that extra $840? Banks are the lowest but their rates vary a lot. Shop around. Banks that don’t stock foreign currency will charge their suppliers rate plus add their own on or charge a flat fee. On top of that many credit cards charge a fee on top of their already inflated rates. Today many credit cards are offering no fee foreign purchases. This does not include getting cash at an ATM! The extra fee is dropped but they still inflate the World Bank Rate. These cards however, are usually your best rate for foreign purchases. Shop around for the best card. If you are moving very large amounts of money like to buy a home beware! 100,000 euro purchase would, at the above rates, cost you $138,00. That is $28,000 over the World Bank Rate. There are brokers in the UK and some in the US that will give you World Bank Rates for large amounts of exchange and NO fees. You send them dollars and they place Euros into your foreign bank account. Every dollar you save can help pay for your trip. Exchange your left over Euros back to dollars is very ugly. You lose another 25% on the exchange or more. These Euros cost you an amazing 50%. We go to Italy so often we never change Euros back to dollars. We just hold on to them until the next vacation. If we need a few Euros so we would have some cash in Europe, we would order money at a local bank with favorable rates. Then charge most things in Europe on our no fee credit card. How Much Money to Take on a European Vacation? Money is a very personal thing. How much you need is related to how you spend, what you buy and how often. If you are going buy Gucci products in Italy, you will need some money. We like to arrive with some Euros in our pocket. Maybe 200- 400 so we can buy tickets, take a taxi, etc. Most restaurants and stores take credit cards. There used to be a problem at some places because the European credit card machines require a computer chip on their credit cards. The US has finally caught up to the rest of the world and most banks are now issuing credit cards with both the old stripe and the new chip. Choose a credit card that does NOT charge an extra foreign transaction fee. There are many today to choose from. You can get money from a European ATM easily. His is the easiest way to replenish your cash. Banks offer great exchange rates but can take a while to fill out paperwork and get your cash. 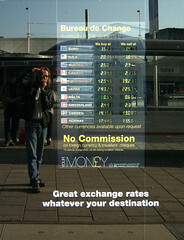 When you are returning home, don’t exchange your Euros back to dollars if you plan another trip in the next few years. The double exchange is very costly. Hold on to your Euros with your passports and use them on the next trip. Traveling is fun and money shouldn’t be the main concern. You are on vacation and you should relax and enjoy the trip.